I painted this in August 2018 but I hadn’t uploaded it to my website yet. Seeing as the actress herself liked this painting on my Instagram account yesterday I thought it was time to share it here too. 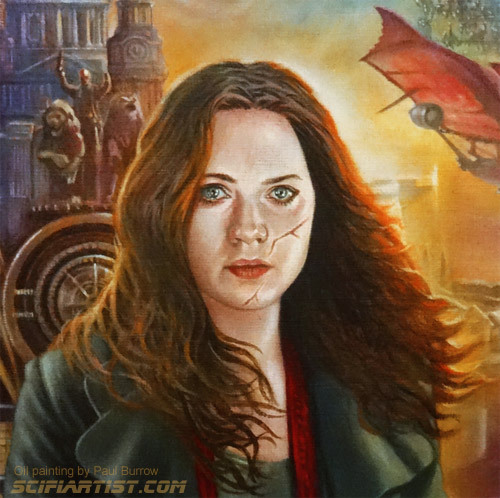 It’s from the film Mortal Engines and features the character Hester Shaw played by Hera Hilmar. The film is adapted from the novels written by Philip Reeve. 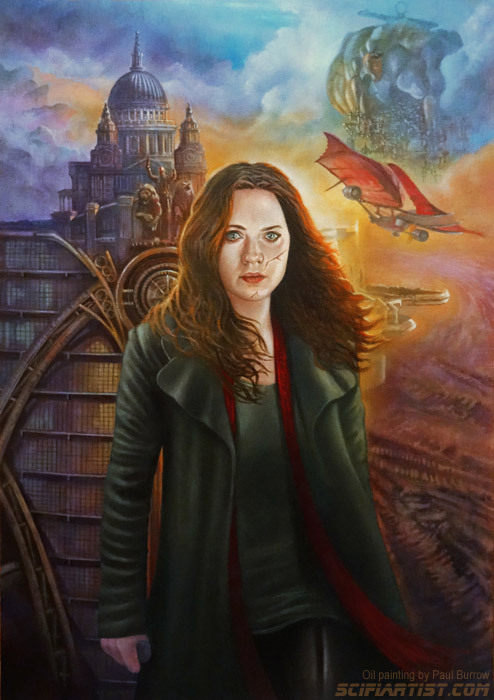 This entry was posted in Illustration and tagged Hera Hilmar, Hester Shaw, London, Mortal Engines, oil painting by Paul Burrow. Bookmark the permalink.